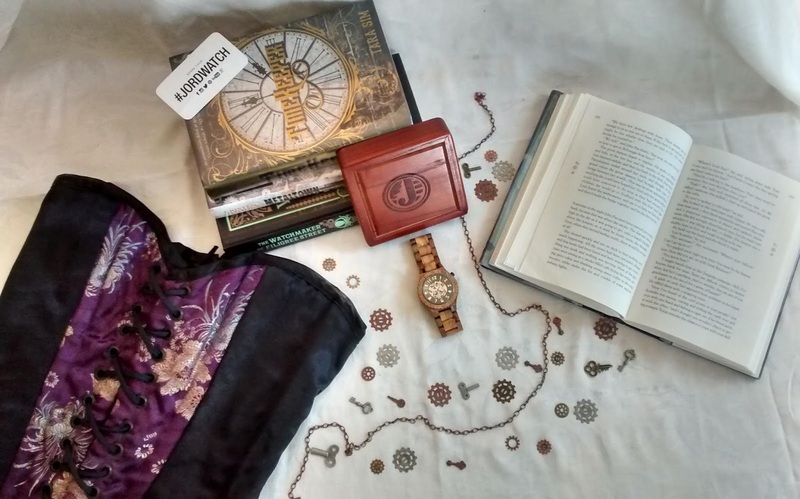 What do you do when a corset and parasol or top hat and driving goggles are too conspicuous to wear, but you want to show your love for the steampunk genre? The Dover collection of watches from JORD, with their open gear face, is the perfect accessory. And today you can enter to win a $100 gift certificate, plus all other entrants will receive a 10% off coupon. Enter below. JORD (pronounced Yode - like Yoda without the -a!) 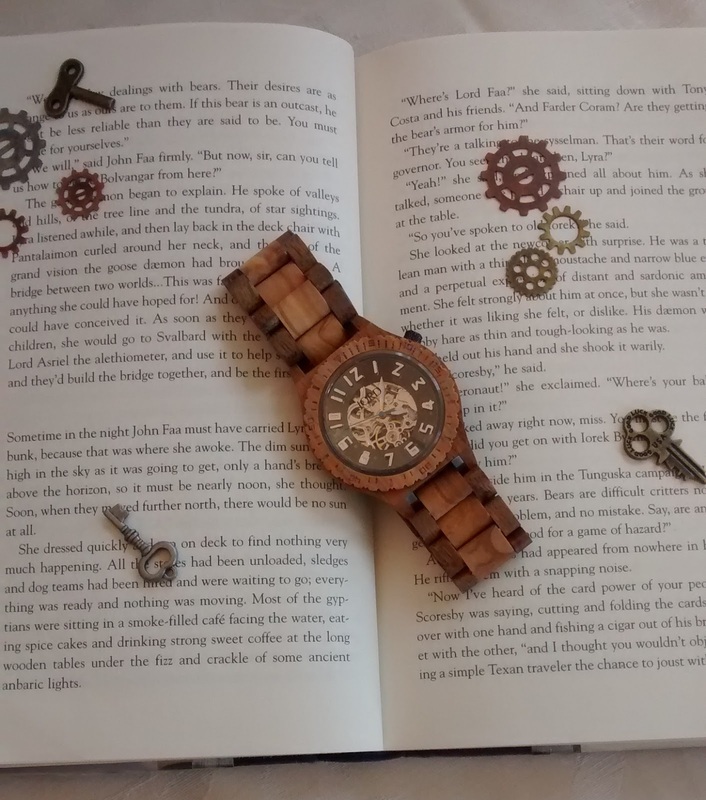 watches are beautifully hand-crafted from a variety of wood. They have a wide selection of styles and wood types to choose from for both men and women so you can choose the perfect combination that uniquely fits you. 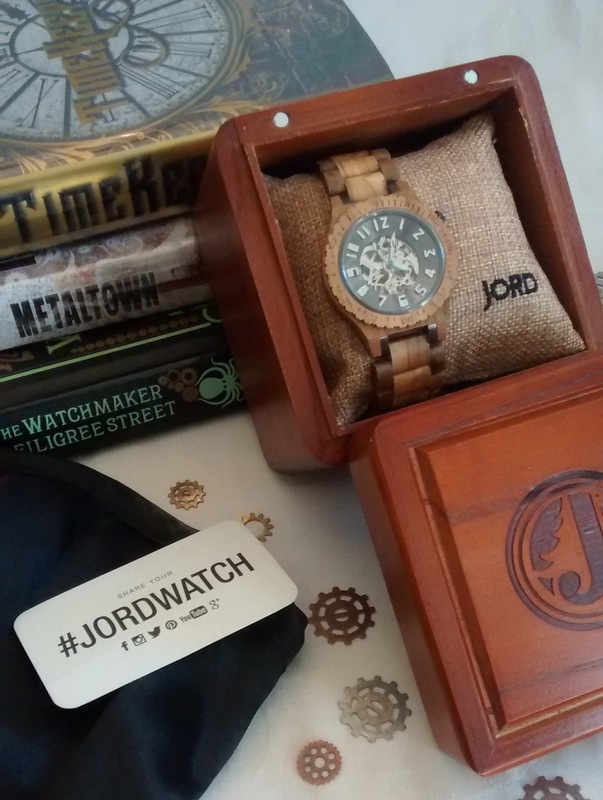 JORD was founded in 2013 to create true designer watches from natural materials. Each JORD series incorporates conversation provoking natural wood with a premium quartz, chronograph, or automatic movement. JORD is located in St. Louis, Missouri, USA. As part of this sponsored promotion, I chose (and received for free) the Dover Olive and Acacia watch. The open watch face with exposed gears, combined with the color and texture of olive and acacia wood, is absolutely gorgeous. I was really blown away by its beauty when I opened the box. I knew from the pictures it was pretty, but WOW! The visible gears are what really drew me to the Dover collection. It instantly made me think of steampunk novels. Clocks and watches are often depicted in the steampunk genre. Watches became popular in Victorian society as they became more reliable; therefore, it makes sense to be featured in writings about that time period. Another cool feature of these watches is the fact they are automatic watches. You wind it initially and then your daily movements keep the timepiece going. There's no battery to replace, ever! This “bio-mechanical” working is definitely something you would see in a steampunk novel. The Olive Tree has deeply rooted meaning dating back to ancient Greece and often appears in Greek mythology. It signifies friendship and peace, hence the saying, "extending the olive branch", when you want to make peace with someone. Acacia wood is dense and extremely strong. According to an Old Dominion University website, due to deposits in the heartwood, it is unpalatable to insects and its denseness makes it impenetrable by water. These factors help the tree resist decay. Acacia wood is what was used to build the tabernacle described in Exodus 37 and 38. This watch could signify a ‘strong friendship’ when given as a gift. Steampunk is a subgenre of science fiction and often has elements of fantasy. As the name indicates, it features technology that is steam-powered, but there is also a focus on all mechanical things. As the concept of time and ways of telling time had greatly changed during the 18th century, these often Victorian-set novels feature watches, clocks, and time. Here are just 5 steampunk novels and series that use these elements. 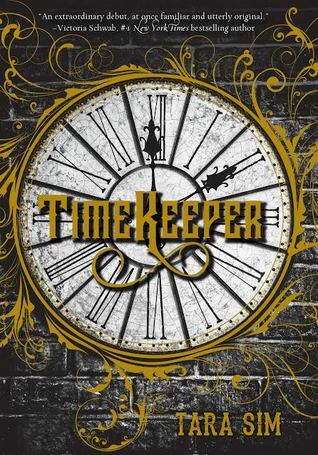 You can find even more on the Best Steampunk Books list at Goodreads. 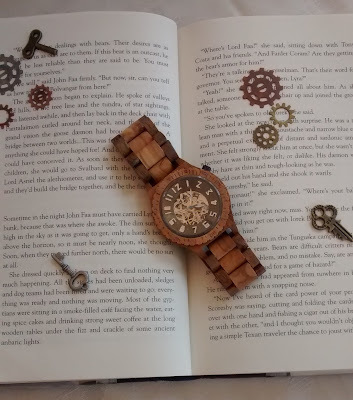 What is your favorite steampunk novel that uses watches, clocks, and/or time in its story? 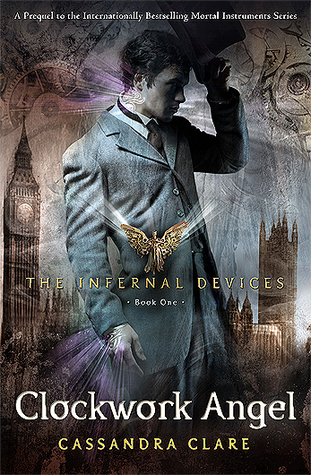 The Infernal Devices trilogy includes Clockwork Angel, Clockwork Prince, and Clockwork Princess. In New York City, 1897, life has never been more thrilling-or dangerous Finley Jayne and her "straynge band of mysfits" have journeyed from London to America to rescue their friend Jasper from the clutches of a devious criminal demanding a trade-the dangerous device Jasper stole from him... for the life of the girl Jasper loves. 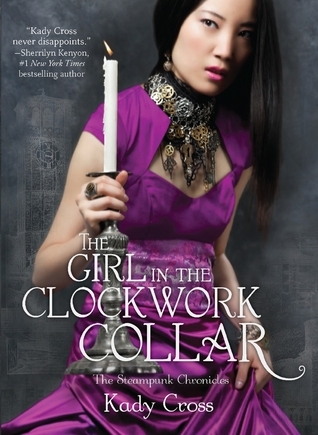 One false move from Jasper, and the strange clockwork collar around Mei's neck tightens and tightens. From the rough streets of lower Manhattan to elegant Fifth Avenue, the motley crew of teens follows Jasper's elusive trail. And they're about to discover how far they'll go for friendship. More than ever, Finley must rely on powerful English duke Griffin King to balance her dark magic with her good side. Yet Griffin is at war with himself over his secret attraction to Finley... and will risk his life and reputation to save her. Now, to help those she's come to care for so deeply, Finley must infiltrate the criminal gang. Only problem is, she might like the dark side a little too much. 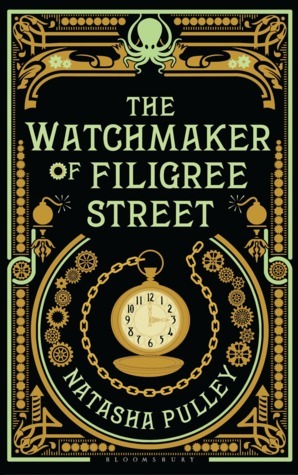 When the watch saves Thaniel’s life in a blast that destroys Scotland Yard, he goes in search of its maker, Keita Mori—a kind, lonely immigrant who sweeps him into a new world of clockwork and music. Although Mori seems harmless at first, a chain of unexpected slips soon proves that he must be hiding something. 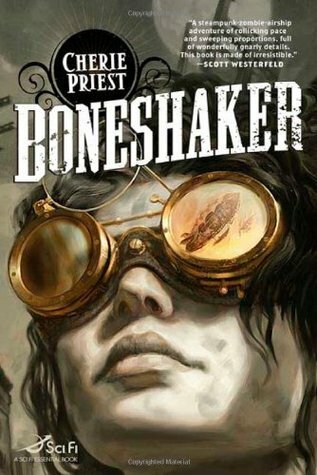 Also, check out our list of Steampunk novels at Amazon. The JORD watch would make an awesome gift. 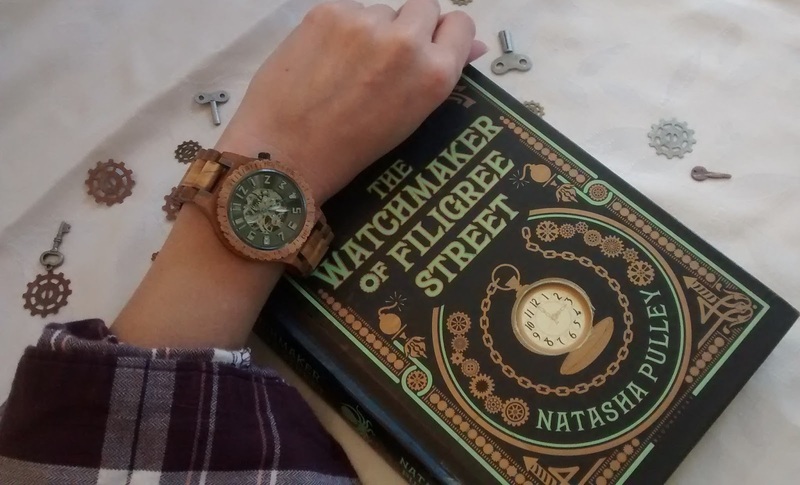 Especially with high school and college graduations coming up, a hand-crafted wood watch would make a timeless (sorry about the pun) gift that the graduate in your life would cherish. Now is your chance to win a $100 gift code (all other entrants will receive a 10% off code) to use when choosing the watch that uniquely matches their personality. (If you want to keep the watch for yourself, I won't tell nor would I blame you as I love mine). The fine print: The giveaway is open to everyone. The giveaway ends April 14, 2019. JORD is the sponsor of this giveaway and is responsible for delivery of prizes. I LOVE the looks of Jord watches. I've never owned one, but I've been very tempted for a long time. They are beautiful watches I hope you entered the giveaway. It was fun to learn a bit about time and timepieces in literature too.